The Construction Infection Control Training Institute (CICTI), has been providing IC Training since 1997. 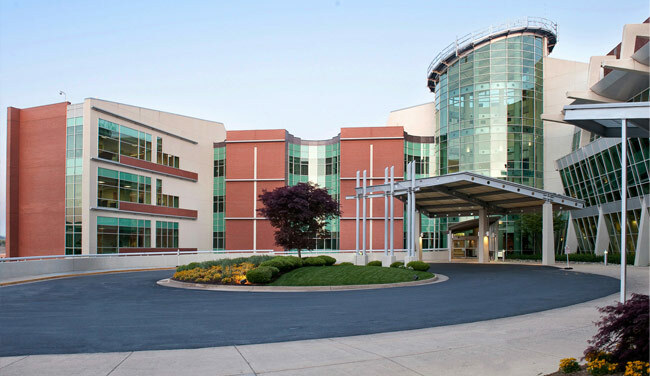 CICTI has been established to provide comprehensive risk assessment and management training for complex healthcare renovation and expansion projects. The Institute was created to fill an identified gap in cost-effective, comprehensive infection control training and certification. The acronym “ICRA” stands for Infection Control Risk Assessment. ICRA is intended to be a process to identify and correspondingly mitigate potential impacts to patients and healthcare services from construction and maintenance scopes of work. Originally intended to address infectious material concerns pertaining to molds, bacteria and to a lesser extent viruses, ICRA now encompasses potential risks to operational systems, services, patient satisfaction and staff/HR concerns. These potential impacts can be real or simply perceived. A comprehensive ICRA can proactively address and mitigate the identified hazards to facilitate successful scope execution in the high-risk environments of healthcare facilities. What training does CICTI offer? CICTI currently offers four Certification courses: Worker, Manager, Facilities Technician, and Trainer. All Certifications require mastery of a targeted level of Infection Control theory, practice and proficiency testing. All CICTI Certifications are issued to an individual that attends a course program and completes requisite proficiency testing. CICTI Certifications are valid from issuance to expiration, independent of employer or employment status. We also offer ICRA training for the design team where proactive planning has an opportunity to support life cycle infection prevention. While this offering is not associated with a Certification, continuing education credits or learning units can be accrued through attendance by architects, engineers, executive level healthcare owners / contractors. Empowering individuals to recognize and implement appropriate Infection Prevention strategies is at the core of CICTI’s mission. Companies, organizations AND healthcare customers (patients) will benefit from these empowered individuals. CICTI trainers have extensive experience supporting hundreds of healthcare projects nationwide. They are not professors, but are professionals. Our trainers have experience supporting Owners, Designers, and Contractors. Having ‘seen’ infection control through the perspective of the various vested parties, CICTI has a holistic view of the objectives, needs, and perspective of the array of entities involved in complex healthcare projects. CICTI Certification Programs are uniquely focused on delivering hands-on, comprehensive training and Certifications in Infection Control during Healthcare construction, renovation, and maintenance. CICTI was created to fill an identified gap in cost-effective, comprehensive, hands-on Infection Control Training targeted for specific audiences – right down to the worker in the field. Existing commercially available training programs are mostly restricted to the 20,000 feet level with generic protocols and broad concept based approaches. 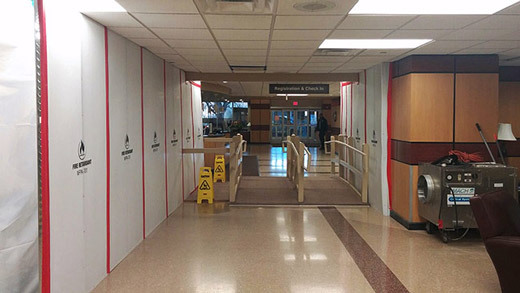 At CICTI, we emphasize hands-on use and proper implementation of scaled control strategies during healthcare renovations in our onsite mock-up rooms. 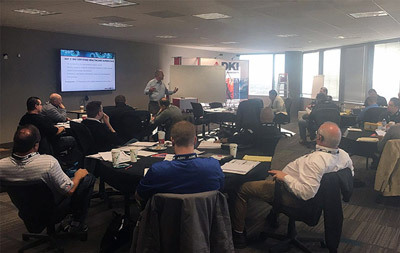 We are devoted to maximizing your personnel’s absorbed knowledge and your Corporate ROI on your precious training dollars. At CICTI, our Institute contains a classroom that has been equipped to handle a maximum class size of 15. In designing the classroom, CICTI considered class size as it relates to individual interaction, comfort and corresponding retention of information. 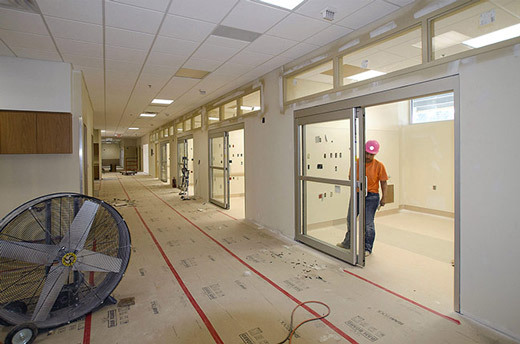 The heart of the Institute is our mock up rooms. These rooms were specifically designed to facilitate hands-on training in Infection Control practices. Course attendees will utilize these rooms to proceed through a series of mock scenarios. The intent is to place course attendees into the shoes of those that install and maintain these measures. Through a better understanding of the variables and nuances that must be considered during ICRA design and implementation, attendees will be better equipped to detail, manage and sanity check installations at your specific job sites.